At a room full of industry leaders, Rachel Notley joked that Prime Minister Justin Trudeau probably wants to set her adrift on an iceberg. The NDP leader has been a persistent critic of the federal government’s failures to get Alberta energy to tidewater. 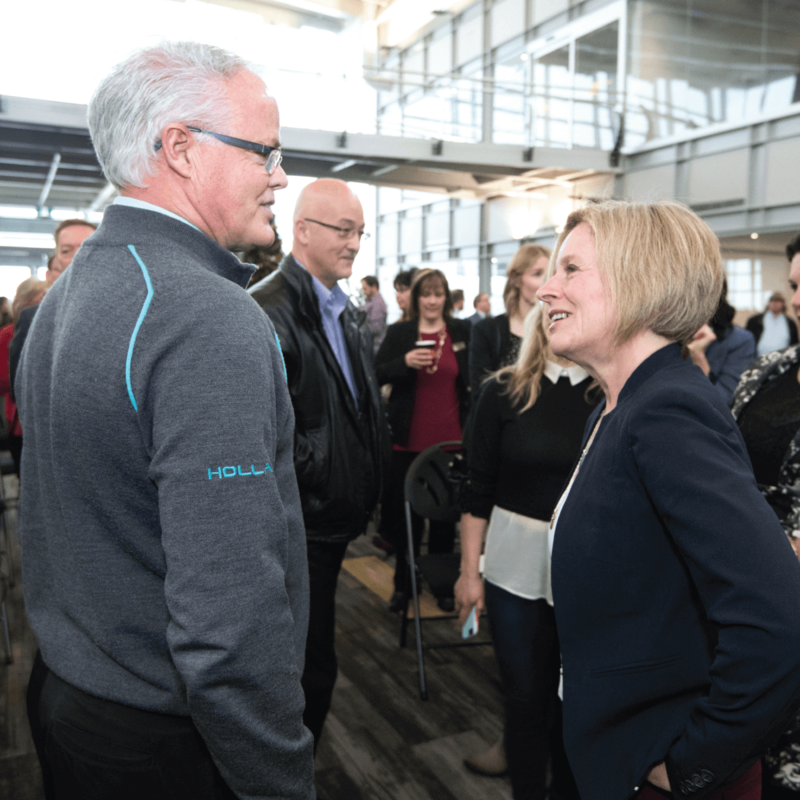 At the Industrial Heartland Association in Edmonton, Notley told investors and energy industry executives that while the fight continues, Alberta needs to grab the reins and dramatically accelerate energy diversification. Notley has long argued that Albertans need to do more than simply export its resources to other markets. More could be done inside our province to get value from oil and gas. Notley argued that Alberta’s oil resources could be turned into other products. Touting the most aggressive energy diversification plan since Premier Peter Lougheed, Alberta could add tens of thousands of jobs and hundreds of millions of dollars to the province’s bottom line, helping pay for hospital beds, smaller classrooms and better roads. Notley’s efforts are already attracting investment. Thanks to a government investment of $200 million, a new $3.5-billion project is underway to turn propane into recyclable plastic. The Fort Saskatchewan project is expected to create 13,000 jobs. The project has been in the news lately thanks to a piece of equipment described by media as “heavy as eight blue whales and as tall as Britain’s Big Ben. At 820 tonnes and 96 metres long, the giant Inter Pipeline splitter built in Edmonton is the heaviest piece of equipment to ever travel on Alberta roads. Notley said the project is giant in more ways than one: a return on government investment of 15 dollars to one. While Notley told executives that she won’t stop fighting for pipelines, she made it clear that Jason Kenney’s UCP would bring diversification to a screeching halt. Comparing Kenney’s tactics to “a first-rate temper tantrum,” Notley warned that it might feel satisfying to take our ball and go home, but it wouldn’t help Alberta win. Spurning new investment and voting against new jobs is a bad plan, said Notley. She also pointed to how Alberta’s efforts to show the need for new pipelines has swayed Canadian interest in pipelines from 40 per cent to nearly 70.